Back by popular demand! 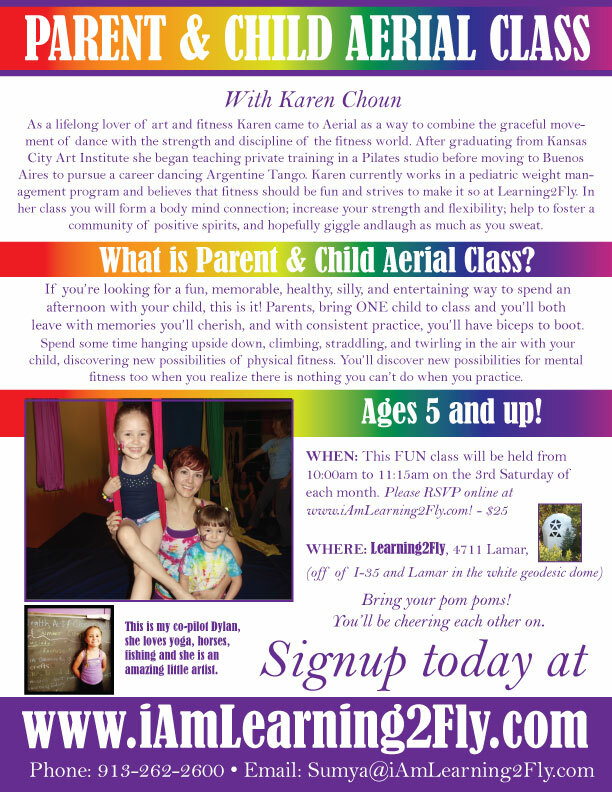 Parent and child aerial class. Saturday, January 18TH (third Saturday of every month) from 10am – 11:15. Quality time with your child was never so much fun. Learning2Fly, focusing on your family’s physical, mental and spiritual health! One adult, one child from 6-11 years old for $25.